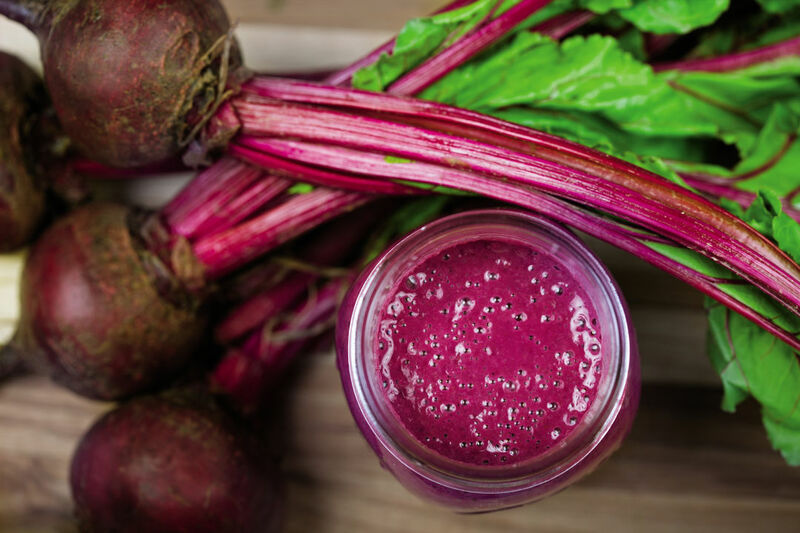 Beet smoothie from Run Fast Eat Slow. On Sunday, August 14, Portlander Shalane Flanagan will compete against a cadre of world-class marathon runners in the pursuit of Olympic gold. Our burning question: what will the four-time Olympian eat for breakfast on race day? 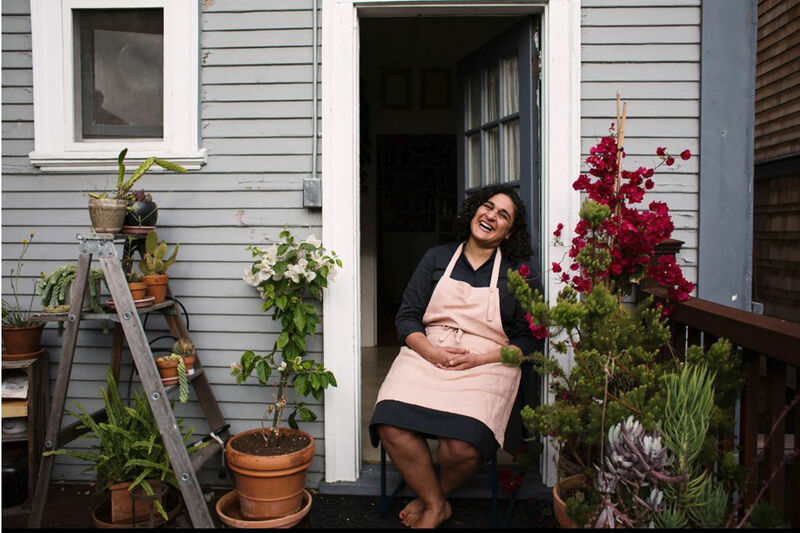 The recipe is sourced from Run Fast Eat Slow, a collaboration between Flanagan and her former college roommate Elyse Kopecky. (We've reprinted the recipe at the end of this article, so keep reading!) The pair ran cross-country together at University of North Carolina, and moved to Portland to join Nike around the same time—Kopecky as an employee, Flanagan as a runner. Kopecky went on to study nutrition and the culinary arts in New York, while Flanagan cemented her title as one of America’s top distance runners. 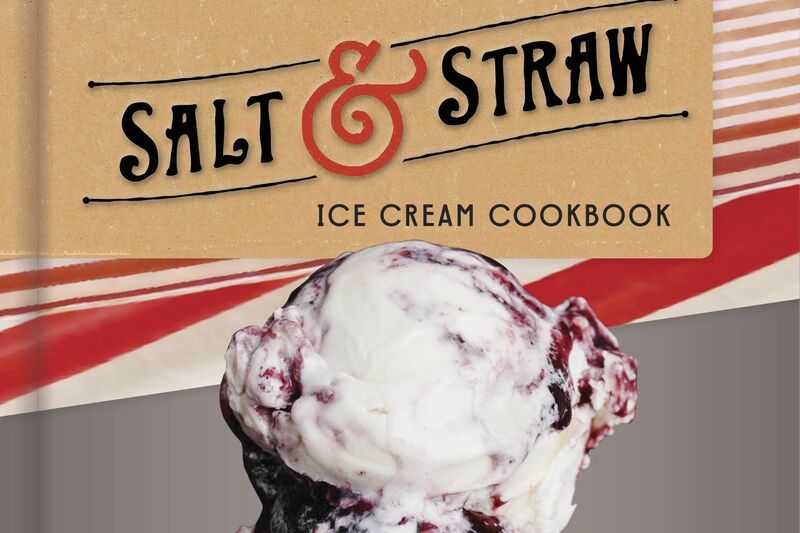 On Tuesday, September 6, the duo will reunite at Powell’s at Cedar Hills Crossing to present their debut cookbook, released August 9. We caught up with Kopecky to learn what sets Run Fast Eat Slow ahead of the pack. 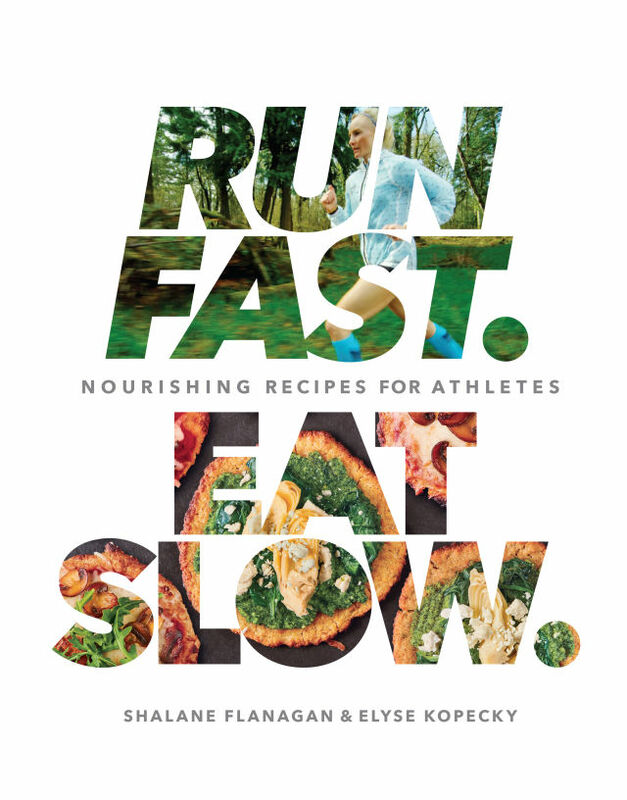 Portland Monthly: How is Run Fast Eat Slow different from other cookbooks for athletes? Elyse Kopecky: This is the first cookbook for runners that doesn’t obsess over macronutrient measurements. Our book has no calorie counts in it; we want to teach people to listen to their own cravings and energy needs instead of reading packages. We want to teach people that healthy food doesn’t have to be bland and boring, and you can cook with good fats and make food indulgent and it’s still really nourishing and really good for an athlete. What are your goals for this cookbook? The biggest takeaway is for people to not stress about nutrition and not stress about measuring food. When you’re buying whole foods and cooking from scratch with minimally processed ingredients, you can forget about all the numbers and focus on all the amazing seasonal ingredients that we have access to in Oregon. 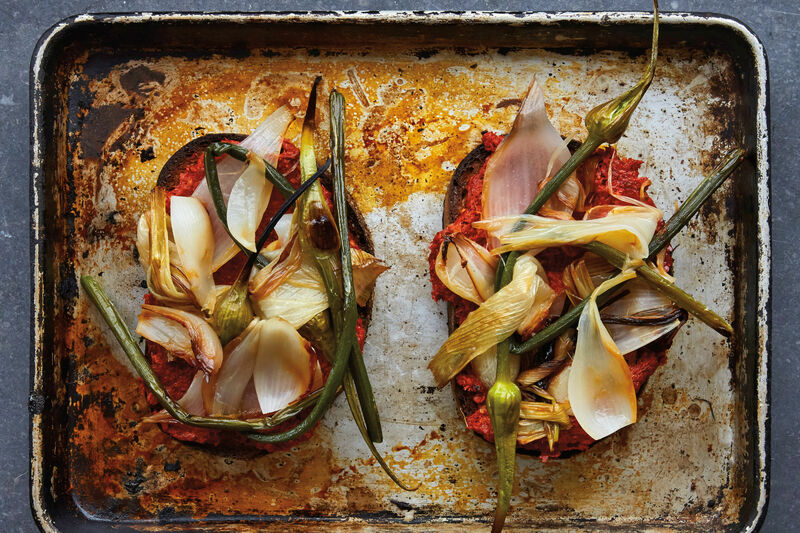 I buy a lot of cookbooks just for flipping through—for inspiration because they’re pretty—but this is a book that we want people to read front-to-back. I hope these are recipes that they’ll find themselves making on a nightly basis. 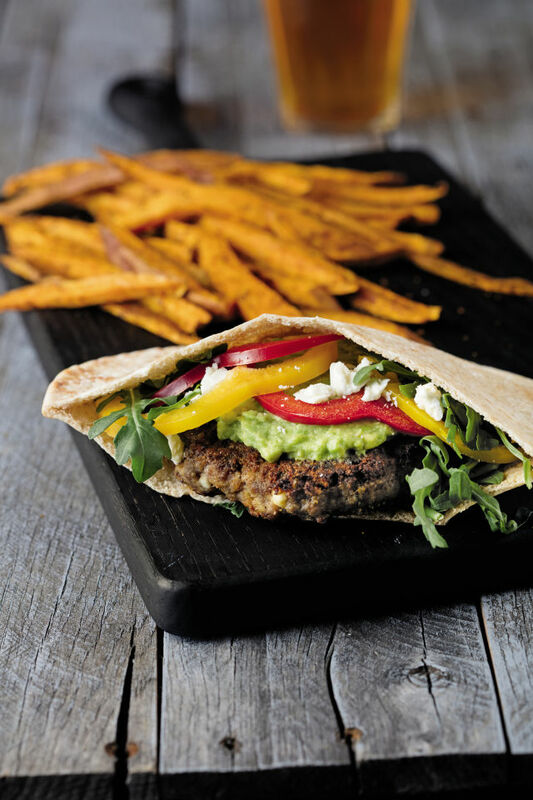 Greek Bison Burgers from Run Fast Eat Slow. The book emphasizes eating lots of healthy fats, which you claim helped you overcome a 15-year battle with athletic amenorrhea (absence of menstruation). Do you see a cultural shift in the way we think about fat? 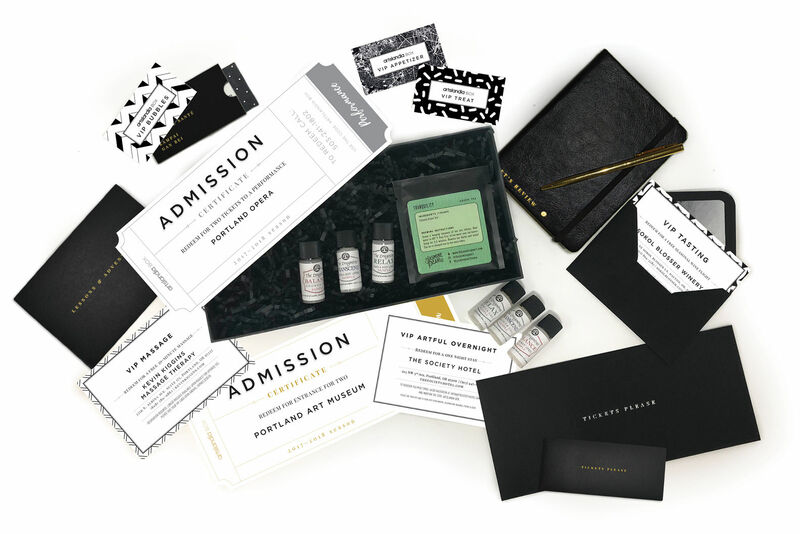 In places like Portland, people are really embracing fats, and the chefs are leading the way. You can even buy jars of lard now, which is incredible. You think the rest of the country is eating this way as well, but then when I travel, I see that it’s definitely different outside of Portland. These recipes might be great for Olympians like Shalane, but what about the rest of us? Our book is inspired by Shalane, but it’s written for someone who just wants to live an active life. I run like 3 to 5-mile runs, so I’m just your everyday runner, nowhere near the Olympic level, and the recipes are still the recipes I cook on a daily basis. It’s what I feed my family and what I eat, and it’s all indulgent foods, rich in good fat. What aspect of this book are you most proud of? I think that it’s going to inspire so many young athletes to have a healthier mindset towards food. I think it’s impacted Shalane in a big way; she feels like she’s running stronger than ever before, and it’s enabled her to extend her career and make her fourth Olympic team. She feels more satisfied and better fueled; she never feels deprived. Hearing from my best friend how much it helped her is what I’m most proud of. Where do you enjoy running in Portland? Running the Waterfront. We're partnering with Nike Run Club to lead a run on the waterfront on September 7, and then we’ll have a big celebration and book talk and book signing afterwards. Catch Kopecky and Flanagan on Good Morning America on August 18, at Powell’s at Cedar Hills Crossing on September 6 at 7 p.m., and on their Nike Run Club run on September 7. (Don’t forget to cheer Flanagan on during the Olympic women’s marathon on August 14!) Run Fast Eat Slow is available from Powell’s City of Books starting August 9. 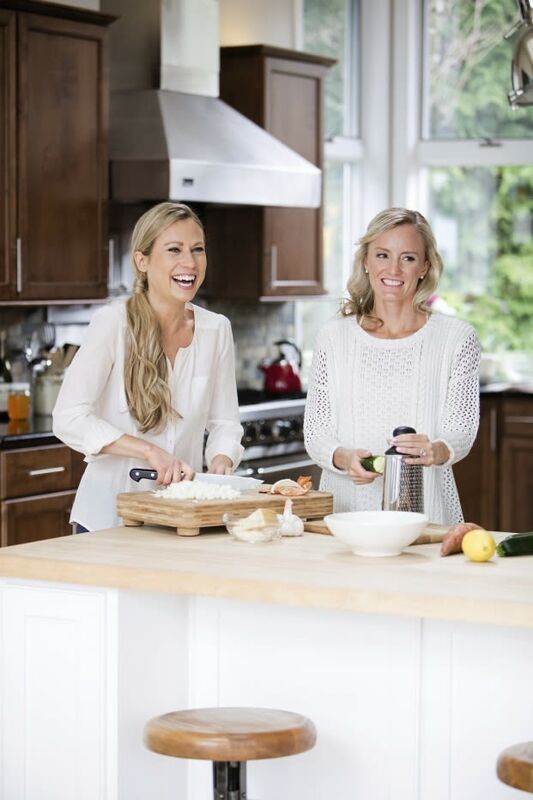 In the meantime, enjoy this excerpt from Run Fast Eat Slow by Shalane Flanagan and Elyse Kopecky. Reprinted by permission of Rodale Books. The story behind this recipe runs deep. For more than 8 years, this has been Shalane’s go-to breakfast before all her hard workouts and races. Running her first marathon ever in NYC, rocking the marathon at the London Olympics, running the fastest time ever by an American woman at the Boston Marathon—all such performances were powered by this recipe. As a whole foods chef, Elyse was at first doubtful about using instant oats and a microwave and calling it breakfast. Her first trial resulted in a thick, globby mess that her then 9-month-old daughter, Lily, completely refused. Elyse called Shalane into her kitchen for damage control, and at last we got the recipe drafted up exactly how Shalane prepares it. Shalane likes to add the banana prior to microwaving for a creamy texture and fresh-baked banana bread flavor. Being slightly superstitious and true to her Irish roots, Shalane brings along her favorite brand of oats, McCann’s Quick Cooking Irish Oatmeal, whenever she’s on the road. Combine the oats, banana, salt, and 3⁄4 cup water in a microwaveable bowl. Microwave on high power for 1 to 2 minutes, or until thickened. Mash the banana slightly and stir in the milk. Stir in the walnuts or almond butter and raisins or berries to taste. Top with a sprinkle of cinnamon and a drizzle of honey if desired. When you’re on the road for a race, simply use boiling water from an electric tea kettle to make this breakfast in less than 5 minutes. For slower mornings, use steel-cut oats instead of instant oats and cook over the stovetop according to package directions. Then stir in the toppings.